Take noodles into a bowl and add sufficient water to soak them. Soak the noodles for 15 minutes. After 15 minutes, drain all the water from the noodles. Add 25ml water, 1/2tsp salt and 1tsp sesame oil. Mix with a fork and place bowl in oven. Cook on high power for 2 minutes. Mix the noodles with a fork and again cook on high power for 2 minutes. Transfer the cooked noodles to another bowl and add ice cold water. Mix with a fork and separate the noodles. Drain all the water from the noodles. Add 1tsp sesame oil and mix with a fork and keep them aside. Take a broad microwave safe bowl and add 1Tbsp sesame oil. Now add finely chopped onions, finely chopped garlic, finely chopped green chilies and finely chopped ginger. Mix well and place the bowl in oven. Cook on high power for 2 minutes. Remove bowl from oven and add cabbage, carrots, capsicum, onion slices and sprouts. Also add 1/2tsp salt, 1/2tsp sugar, 1/4tsp black pepper powder and mix. Then add 20ml water, 1tsp soy sauce and 1tsp vinegar and mix well. Place bowl in oven and cover it. Cook on high power for 4 minutes. Remove bowl from oven and add noodles, spring onion stalks and 20ml water. Mix with a fork and place the bowl in oven and cover it. Cook on high power for 4 minutes and remove the bowl from oven. Mix with a fork and add freshly ground pepper. Mix with the help of 2 forks and serve in individual bowls. Serve hot the tasty Hakka Noodles. Salt & pepper measurements can be changed according to ones taste. Slice the vegetables as thinly as possible. We do not cook the vegetables for a long period because they will lose the crunchiness and color. So it is very much essential to cut the vegetables thinly so that they get cooked fast without losing the color and shape. 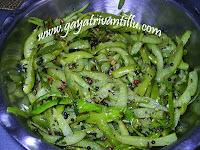 Similarly chop the onions, garlic, green chilies & ginger finely so that they get cooked fast. I have used wheat noodles for health sake—however one may use egg noodles or other noodles also. Always use a fork while handling the noodles as it separates the noodles without breaking them. After cooking the noodles and draining the water add 1tsp oil and mix with a fork. This will NOT allow the noodles to stick to each other. One can also use garlic stalks in place of spring onion stalks.Try to enjoy this dish eating with chopsticks. It will be fun and enjoyment. These are wheat noodles sold in the supermarkets. They are not maggi. Namaste gayatri garu,me vantalu bagunnai,nenu try chestunnanu.Hakka noodles bagunai dani wheat noodles tone chesukovala? rice noodels to kuda chesukovacha? Doctors would suggest the diet for the pregnant and lactating mothers. My doctor encouraged me to eat all varieties of fresh vegetables. how r u? nenu me vantalu chusanu.chala bagunnaye.nenu intelo same procedure follow avutunnanu.na native place vizayanagaram.ohhh na peru k.nagamani,nenu bangalore lo vuntunnanu.inka naku one daughter.ma husband software engineer. 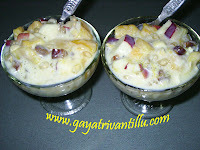 Mee pootha rekulu recipe kosam aathranga eduruchoosthunnanu. Internet lo vere videos choosthe matti kundanu borlinchi vaaduthunnaru. Meeru ala kakunda teligga emanna cheputharemo, ventane cheseyyali ani eduru choosthunnanu. Thinabothu ruchendukani, meeru video online pette varaku eduru choosthanu. 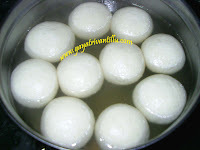 I like your videos.pls show me how to prepare burelu.